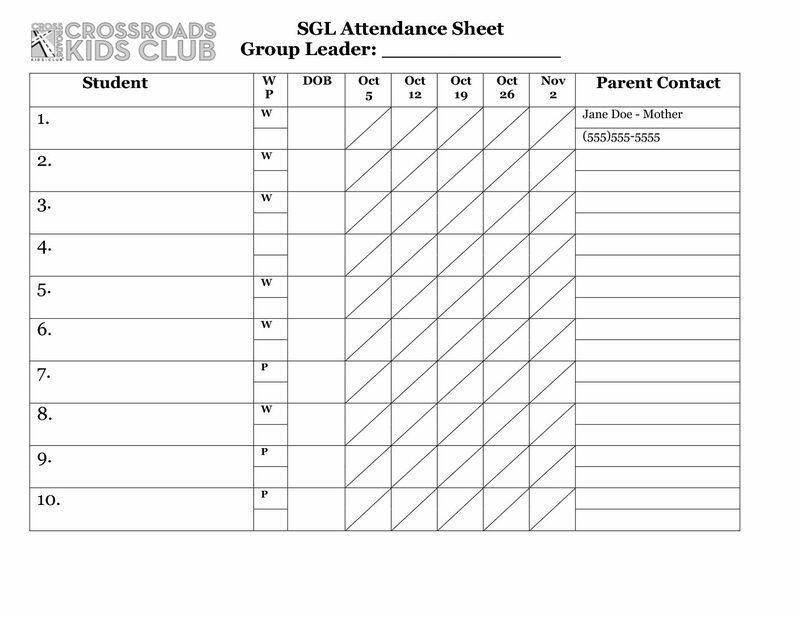 Use this downloadable, customizable Word template for your small group rosters. 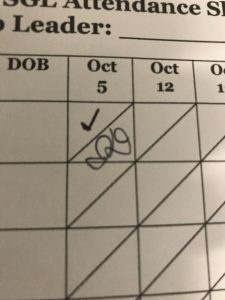 Attendance can be marked in the top left of the box under the club date, and parents can intial to sign their child out in the bottom right corner of the same box. (See photo example.) 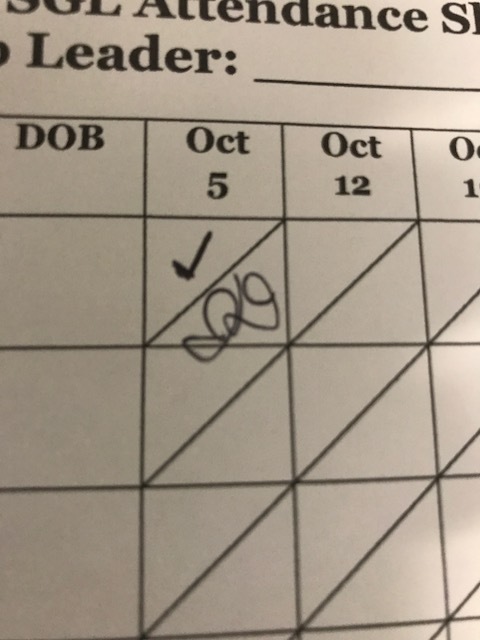 The front side of the roster also includes columns for birthdays and “w” or “p” to indicate if the child is a walker or is to be picked up for dismissal. On the back, you can include the names of adults who are authorized to pick up the child.